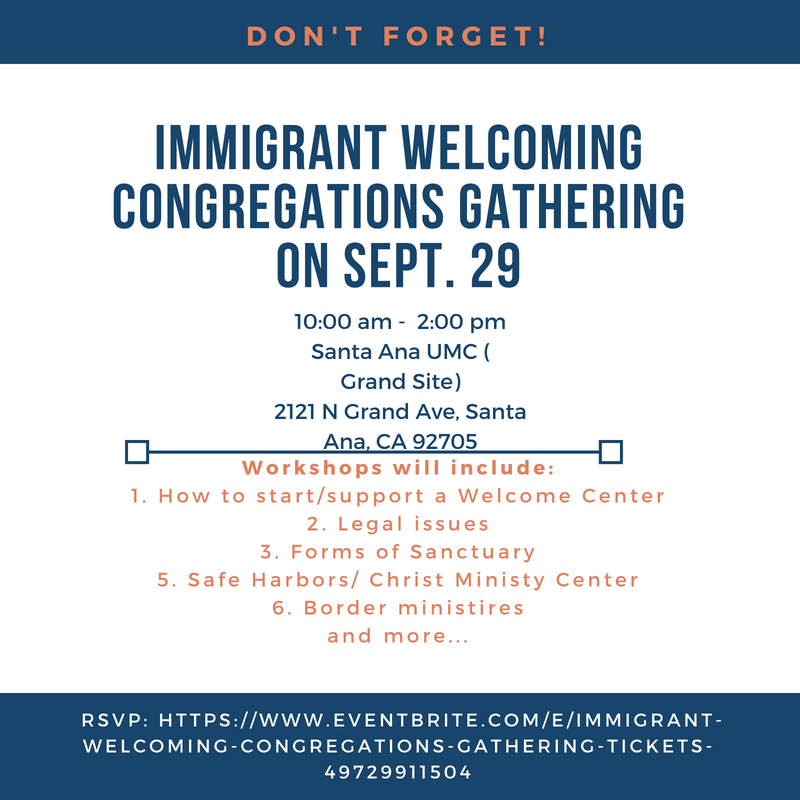 This gathering is for both lay and clergy who are interested in serving the Immigrant community. We also want to do a special call to all lawyers who are interested in providing services. For more info or questions, contact Rosie Rios (rrios@calpacumc.org) or Rev. David K. Farley (dfarley@calpacumc.org).